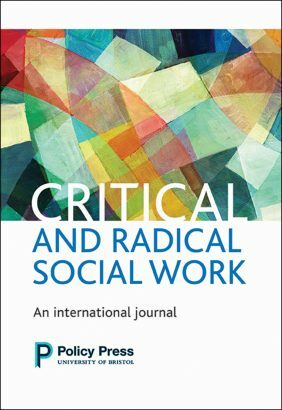 Critical and Radical Social Work. The academic Left, influenced by the Boycott, Divestment and Sections (BDS) movement, is abandoning core academic standards when it comes to the Israeli-Palestine conflict. In September 2018, the respected journal Critical and Radical Social Work (Policy Press, University of Bristol) published a remarkably simplistic and arguably non-scholarly paper by an academic from Scotland about the controversy concerning left-wing anti-Semitism within the British Labour Party (Maitles 2018). 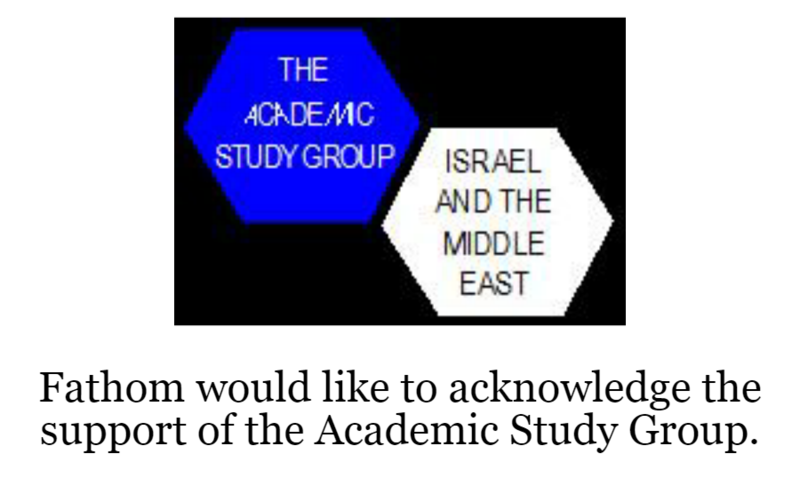 * The paper, whilst of minimal importance in itself, can be seen as symbolising the extent to which sections of the academic Left, influenced by the Boycott, Divestment and Sections (BDS) movement, have abandoned even the pretence of applying core academic standards to debates regarding the Israeli-Palestine conflict. Instead, the presentation of historical facts and empirical evidence concerning Jewish history and experiences, and indeed the determination of political strategies towards anti-Jewish racism, is increasingly subordinated to the higher priority of fighting what is labelled ‘Zionism’ and to aiding the Palestinian nationalist agenda. Maitles simplistically constructs the Israel-Palestine conflict via the binary opposites of good and bad nations. He essentialises the Israelis as a racist oppressor nation whose sole unifying principle is an alleged desire to harm and murder Palestinians. In contrast, the Palestinians are infantilised as an oppressed people lacking agency, the passive victims of the Israelis from 1948 to the current day. To be sure, Maitles claims to be merely defending what he calls ‘legitimate criticisms of Israeli policy’ (Maitles 2018: 242), or what he refers to elsewhere as ‘the right to be critical of Israel’ (Maitles 2016). As will become evident however, Maitles is not interested in changing Israeli policies in order to advance Palestinian rights and improve the long-term well-being of both peoples. To the contrary, his sole concern appears to be to provide an ideological rationale for Israel’s destruction. Maitles describes himself as a Jewish and Socialist academic and activist (and could have added without a tinge of immodesty that he has a long-standing involvement in Holocaust education in schools – see Cowan & Maitles 2017) but, remarkably, he makes no reference to the long-standing tensions between particularistic Jewish and universalistic left-wing identities. I have previously described Jewish involvement in the Left historically as incorporating a wide spectrum of Jewish influences and identities. They included specific Jewish labour groups such as the Jewish Labour Bund, left Zionist groups and Jewish-identifying Communist networks who attempted to integrate progressive ideas and Jewish culture; others who mainly identified as internationalists but still demonstrated some concern for combatting anti-Semitism; and finally, non-Jewish or even anti-Semitic Jews who actively rejected any link with other Jews, and were actively hostile to Jewish concerns (Mendes 2014: 15-18). Elsewhere, Maitles calls himself an ‘anti-racist and anti-fascist Jew’ who is hostile to Israel and Zionism (2016). But again he displays little familiarity with major controversies around the legitimacy of Jewish anti-Zionist perspectives, particularly those that aggressively target all Israeli Jews and all Jewish supporters of the State of Israel – including many who favour dovish two-state positions – as the political enemy. He does not seem to be aware at all of the long history of anti-Semitism in parts of the radical Left, whereby a small number of unrepresentative token Jews are expediently encouraged to exploit their own religious and cultural origins in order to vilify their own people (Mendes 2014: 274-284; Mendes & Dyrenfurth 2015: 74-79; Hirsh 2018: 112; Mendes 2018: 164). Maitles presents himself as a principled opponent of anti-Semitism, but this opposition seems to be limited to specific scenarios that assist the anti-Zionist cause. He opposes pro-Palestinian banners equating Zionism with Nazism or the exclusion of pro-Israel Jewish groups from anti-racist campaigns, but emphasises that his primary objection is tactical: these activities could undermine broad and unified support for the Palestinians. Elsewhere (Maitles 2016; Levine & Maitles 2007), he has praised the notorious blaming the victim play, Perdition, which implies that powerful Zionist Jews rather than the actual Nazi perpetrators, were responsible for the murders of hundreds of thousands of Hungarian Jews (Mendes 2014: 86-87). While Maitles is pleased to attack the anti-Semitism of the Right – and the recent massacre of Jews at the Tree of Life synagogue in Pittsburgh reminds us that there is a real and ongoing threat from far Right extremists – he notably ignores the fact that most violent assaults on Jews in Europe have been perpetrated by Islamist extremists, not by neo-Nazis. Maitles also rejects any threat to Jews from anti-Jewish prejudice on the Left. This is despite the fact that the Jeremy Corbyn’s British Labour Party has been rocked by a series of controversies involving an increasing convergence of anti-Zionism with historical stereotypes of anti-Semitism accusing Jews of control of finance, politics and the media. Even Corbyn himself has admitted that ‘there is a real problem of anti-Semitism that Labour is working to overcome’ (Koubaridis 2018). Additionally, there has been an ongoing attempt by the anti-Zionist Left within and beyond the Labour Party to deny Jews, as a historically oppressed group, the right to define and expose their experiences of racism (Mendes 2016; Hirsh 2018). Moreover, contrary to what Maitles suggests, the strongest criticisms of this anti-Jewish racism on the Left come not from right-wingers who want to shut down criticism of Israeli policies towards the Palestinians, but rather come mostly from left-wing Jews and others who are themselves long-time critics of Israel’s West Bank settlements and supporters of a two-state solution (Shindler 2012; Fine & Spencer 2017; Matgamna 2017; Hirsh 2018). Maitles chief concern though, is arguably neither anti-Semitism nor Jews per se, but rather the apocalyptic struggle against Zionism and Israel favoured by the far Left Socialist Workers Party (Shindler 2012: 181-89, 251; Matgamna 2017: 247) with which he is aligned. He is an advocate of the abolition of the Jewish State of Israel. Not surprisingly, he supports the demand of the BDS movement for an unconditional return of the 1948 Palestinian refugees and their millions of descendants to their former homes inside Green Line Israel, which has been widely interpreted as code for the elimination of Israel (Mendes & Dyrenfurth 2015: 50-53; Matgamna 2017: 313). Maitles seeks, however, to refute the notion that these perspectives are in any way unreasonable or racist. Thus he disingenuously implies that what he calls ‘the Left’ (p.242) supports his anti-Zionist fundamentalist position when in fact the great majority of progressives worldwide, although highly critical of Israel’s West Bank occupation, endorse a two state solution (Mendes 2014: 124-126). He also misrepresents the nature and context of the historical Jewish Left and indeed; broader Left debates regarding Zionism. Anti-Zionist arguments, well-intentioned or otherwise, that were presented by the Bund, Communists and others prior to the establishment of Israel in 1948 were based on theoretical and philosophical grounds in relation to what many considered a utopian movement or grandiose ideas that would almost certainly never succeed, and are irrelevant to the post-1948 reality involving an actual state and people. In contrast, anti-Zionist views today prejudicially target and demonise an existing nation state and people (Mendes 2014: 125). Arguments in favour of destroying the existing Jewish nation state, and replacing it with another Arab majority state, are inherently chauvinistic. The proposed one state solution would not ensure the right to national self-determination sought by both peoples. To the contrary, it would mean the suppression of the national rights of over six and a half million Jews, who currently form approximately 75 per cent majority of the population of Israel, and could only be achieved by either the ethnic cleansing or even genocide of most of that Jewish collective (Mendes 2008; Mendes & Dyrenfurth 2015: 73-74; Matgamna 2017: 241, 247). The resulting state would not be secular or democratic as naively suggested by Maitles, but rather another ethnocentric Arab state characterised as per many existing Middle Eastern states by the violent exclusion of a previously large Jewish population (Mendes 2014: 119; Julius 2018). Equally, his claim that the BDS movement is not linked to race hate is evidence-free. The BDS movement had its origins in the ironically named World Conference against Racism held in Durban in September 2001, which was distinguished by the most appalling manifestations of overt anti-Semitism such as praise for Nazi Germany, and widespread circulation of the notorious Protocols of the Elders of Zion (Mendes & Dyrenfurth 2015: 40-41; Hirsh 2018: 141-42). The succeeding BDS campaign has been marked by frequent incidences of anti-Semitism, including allegations of Zionist control of politics, finances and the media, protests targeting Jewish-owned businesses, and verbal abuse or threats of violence against critics of the movement (Mendes & Dyrenfurth 2015: 66-74; 129-30). There are numerous other factual errors, half-baked arguments and distortions in this paper. For example, Maitles cites the highly contentious far Left Israeli academic Ilan Pappe (Maitles spells his name wrongly as Pape, and spells Herzl wrongly as Hertzl) who is in favour of the traditional Arab narrative that the 1948 Palestinian refugees were driven out by pre-planned and systematic Israeli violence (Pappe 2006). Yet he ignores the substantial critique by the respected Israeli historian Benny Morris of both the content and methodology of Pappe’s argument (Morris 2011). Maitles is not obliged to accept Morris’s account but surely in an academic journal he is obliged to inform readers of the core arguments presented, and to use critical historical evidence to explain why he prefers Pappe’s interpretation of these events. In contrast to Pappe, Morris argued convincingly that ‘the Palestinian refugee problem was born of war, not by design, Jewish or Arab’. The exodus could be attributed to a number of factors including the bitter fighting that characterised the first Israeli-Arab war, the structural weaknesses of Palestinian Arab society and the voluntary departure of many upper and middle class families, Arab fears of Jewish atrocities, and Jewish fears of the potential consequences of an Arab victory (Morris 1987). The long-time anti-Zionist Israeli Jew Moshe Machover (Mendes 2014: 117-18) was not suspended from the British Labour Party due to an expression of anti-Zionist views, as Maitles claims, but rather because he wrote an article implying an ideological alliance between the leading Nazi Reinhard Heydrich and the Zionist movement (Harpin 2017). Additionally, Maitles quotes the famous Marxist Isaac Deutscher on Jewish Left opposition to Zionism before World War Two, but expediently fails to add that Deutscher abandoned his anti-Zionism after the Holocaust. In fact, Deutscher suggested, that with hindsight, he now believed the European labour movement should have encouraged European Jews to flee from anti-Semitic regimes to Palestine in order to save their lives (Deutscher 1968: 112). What has that kind of sleight of hand to do with academic standards? The Maitles case study discussed above has parallels in Australia and elsewhere (Mendes 2018). A common theme seems to be pro-BDS editors of scholarly magazines using their discretion to excuse anti-Zionist authors from conforming to core academic standards. I would add that if any conservative Greater Israel academics are replicating these actions there is similarly no excuse. In this case, I would note the following: Maitles could and should have reviewed key contemporary academic texts on relations between Jews and the Left in Britain and other Western countries, he could and should have reviewed leading scholarly texts on the historical context of Jewish-Left relations, he could and should have reviewed major academic publications on the controversies around Jewish anti-Zionism today, and in commenting on Israel-Palestinian relations, he could and should have reviewed a range of historical viewpoints on the causes of the 1948 Palestinian refugee tragedy. A particularly malevolent by-product of this privileging of anti-Zionist voices is that moderate voices, favouring recognition of the national rights of both Israeli and Palestinians peoples via a two-state solution, are increasingly excluded from progressive publications and debates. 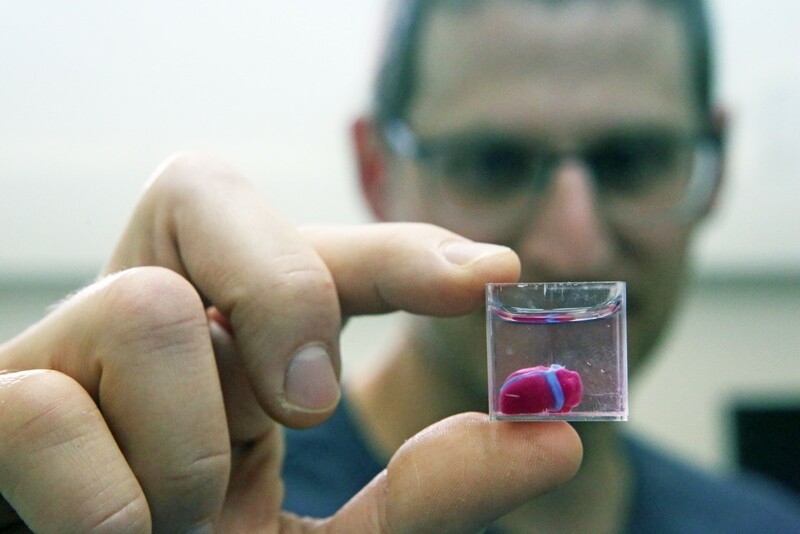 This silencing is happening at a time when, arguably more than ever, outsiders need to encourage sober dialogue between Israelis and Palestinians leading ideally to mutual compromise, rather than further polarisation and hatred. Cowan, Paula & Maitles, Henry (2017) Understanding and teaching Holocaust education. Sage, London. Deutscher, Isaac (1968) The Non-Jewish Jew and other essays. Merlin Press, London. Fine, Robert & Spencer, Philip (2017) Antisemitism and the Left: On the return of the Jewish question. Manchester University Press, Manchester. Harpin, Lee (2017) ‘Israeli-born anti-Zionist expelled from Labour Party’, Jewish Chronicle, 9 October. Hirsh, David (2018) Contemporary Left antisemitism. Routledge, Milton Park. Julius, Lyn (2018) Uprooted: How 3,000 years of Jewish civilization in the Arab world vanished overnight. Vallentine Mitchell, London. Koubaridis, Andrew (2018) ‘Anti-Semitic accusations threaten to tear UK Labour apart’, news.com.au, 7 August. Levine, Barrie & Maitles, Henry (2007) ‘A day to remember’, Socialist Worker, 6 January. Maitles, Henry (2016) ‘Agenda: Henry Maitles on being critical of Israel without being antisemitic’, The Herald, 5 May. Maitles, Henry (2018) ‘The Left, Anti-Semitism and Palestine’, Critical and Radical Social Work, 6(2): 241-45. Matgamna, Sean (2017) The Left in disarray. Workers’ Liberty, London. Mendes, Philip (2008) ‘Israel/Palestine: A One-State Solution Means No Solution’, New Matilda, 4 March. Mendes, Philip (2014) Jews and the Left: The rise and fall of a political alliance. Palgrave Macmillan, Houndmills. Mendes, Philip (2016) ‘Anti-Semitism and the BDS Movement: The example of British Labour’, ABC Religion and Ethics, 28 June. Mendes, Philip (2018) ‘Attempts to exclude pro-Israel views from progressive discourse: Some case studies from Australia’ in Pessin, Andrew & Ben-Atar, Doron (eds.) Anti-Zionism on campus: The university, free speech and BDS. Indiana University Press, Bloomington: 163-173. Mendes, Philip & Dyrenfurth, Nick (2015) Boycotting Israel is Wrong: The progressive path to peace between Palestinians and Israelis. New South Press, Sydney. Morris, Benny (1987) The Birth of the Palestinian Refugee Problem, 1947-1949. Cambridge University Press, Cambridge. Morris, Benny (2011) ‘The liar as hero’, The New Republic, 17 March. Pappe, Ilan (2006) The ethnic cleansing of Palestine. One World, Oxford. Shindler, Colin (2012) Israel and the European Left. Continuum, New York. * The author is grateful to Colin Shindler for the time he took to discuss these issues with me. When it comes to bashing Israel, it appears that the only maxim which applies consistently is that the ends justify the means. It’s OK to lie, lie by omission, distort, and mislead. It’s OK to throw academic standards out of the window. So long as Israel is the target, so long as the homeland of the Jews is the target, anything goes. As an Irish Atheist I support Israel and I am admirer of the Jewish race and their great contributions to mankind. In debate on social media I often leave people with no argument by asking them if it is acceptable for Arabs to strap suicide bombs on their own children and send them out to kill Jews? I am also at a loss to understand why UNICEF has not sent an army of Social Workers into the two “Palestines” and remove children who have been brainwashed by their parents. I wrote a blog on the topic.